It is good to be home.It is good to hear the wind of Icewind Dale, to feel its invigorating bite, like some reminder that I am alive. When the mark of the great warhammer Aegis-fang is found branded on the back of a vicious outlaw, Drizzt can no longer merely hope that Wulfgar is safe. The dark elf and his companions set out to find the barbarian once and for all. 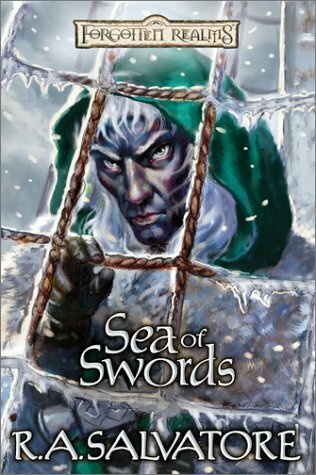 As they discover pieces of the puzzle their friend's life has become, Drizzt grows only more determined to locate him. Drizzt, Cattie-brie, Regis, Bruenor, and Wulfgar -- the Companions of the Hall -- come together for the first time since The Silent Blade in a reunion filled with discovery and adventure. The paperback version of a top-selling hardcover featuring the return of Drizzt Do'Urden, R.A. Salvatore's most popular character.